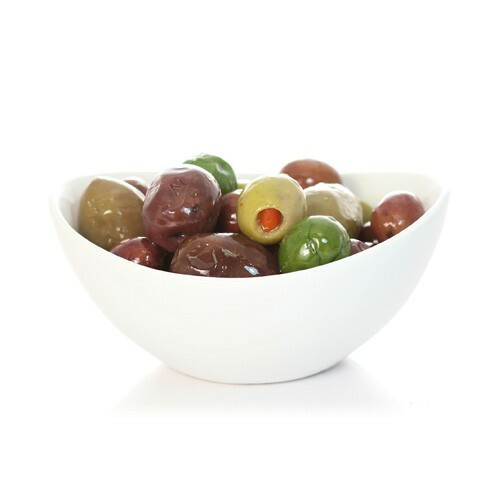 These olives are a mixture of black and green Mediterranean olives. Seasoned with oil and herbs, serve these olives as an appetizer, hors d'euvres, or in salads. Specify either pitted or with pit.